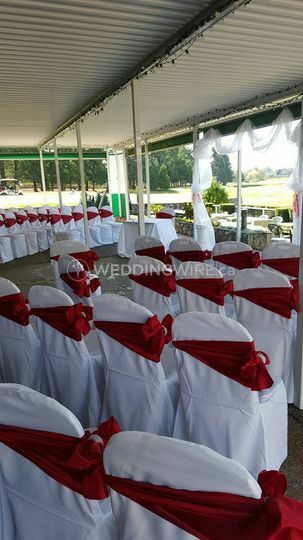 Guildford Golf & Country Club ARE YOU A VENDOR? 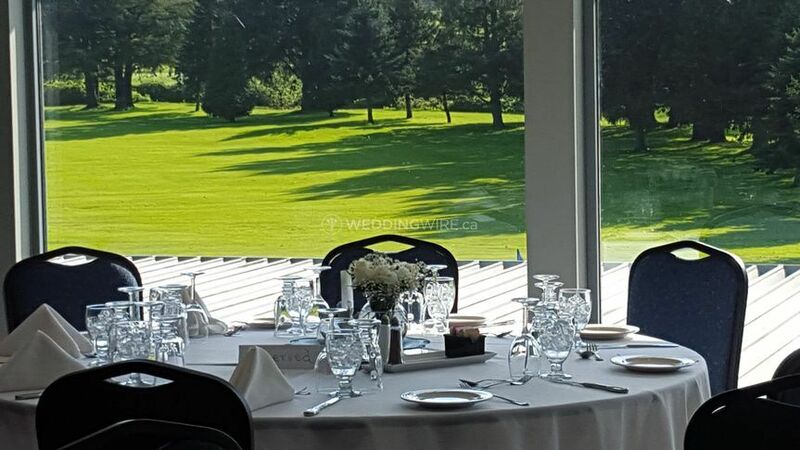 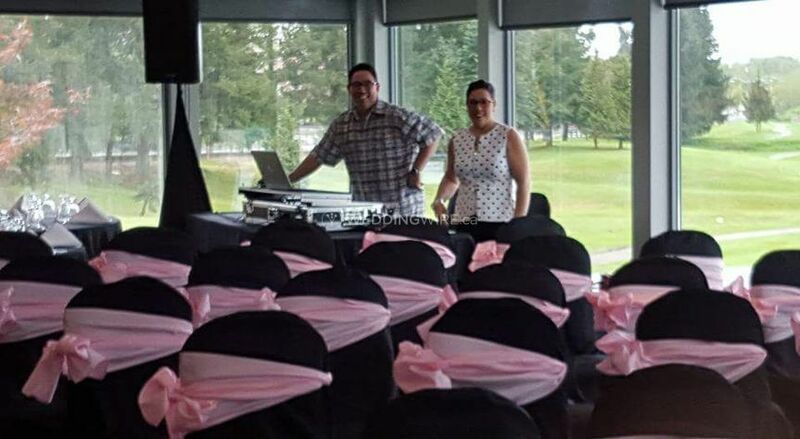 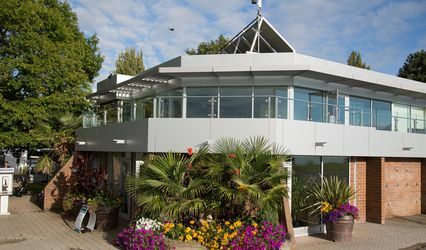 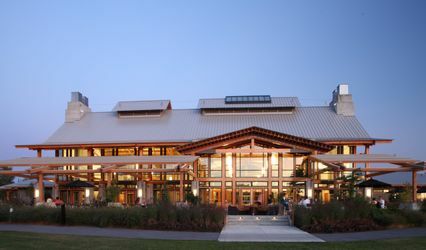 Guildford Golf & Country Club is a Surrey-based venue that specializes in providing an impeccable banquet hall facility surrounded by beaufiful golf course views for celebrating weddings and other special occasions. 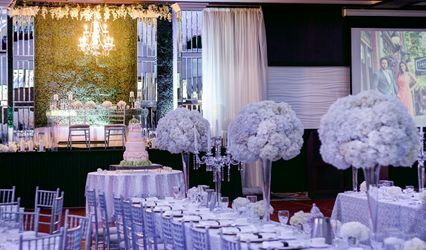 Your wedding will be a stress-free experience for you and your partner-to-be and an absolute joy for all guests attending. 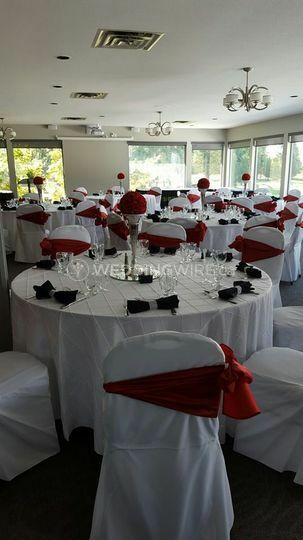 The facilities found at this country club include a newly renovated banquet hall which provides a dance floor and is ideal for formal or semi-formal dining. 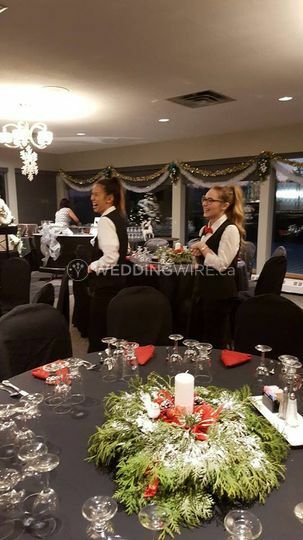 The full-service staff is helpful and flexible and the space has a capacity for up to 110 guests. 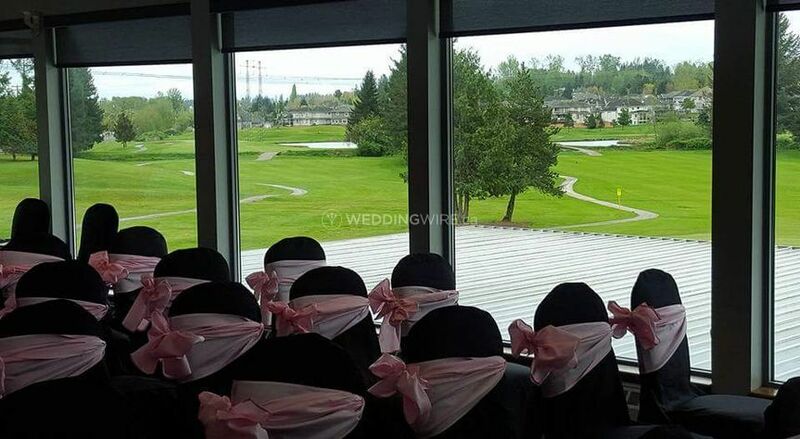 This venue also offers an exciting package where couples can book a helicopter ride from the airport to the 3rd hole on the golf course to be picked up by a golf cart and taken to your ceremony/reception. 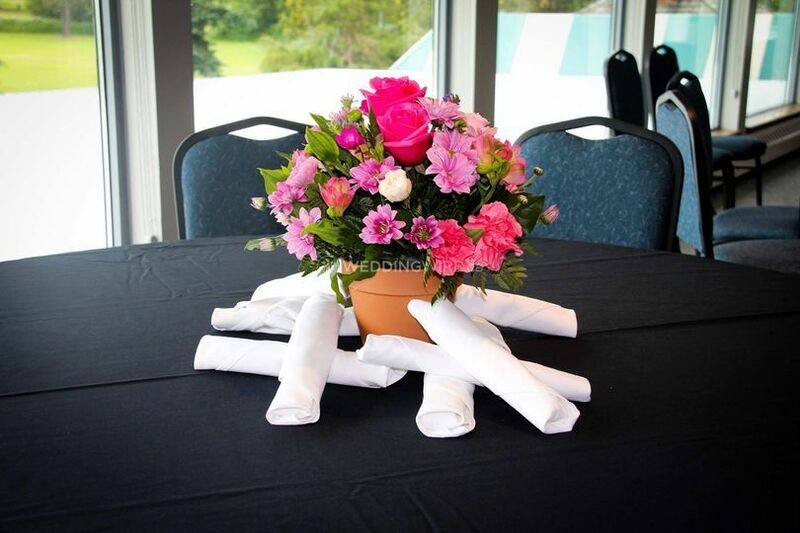 The all-inclusive wedding package includes the catering team's Deluxe Dinner Buffet. 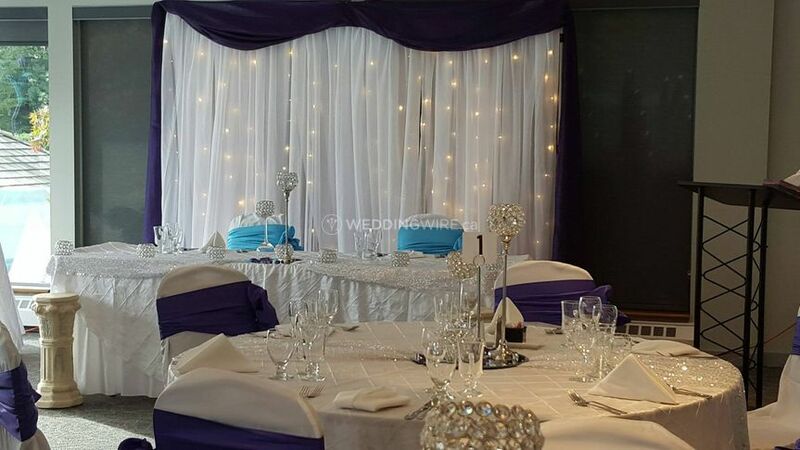 This include your choice of salad, platters and accompaniments, a carving station, entrées and desserts. 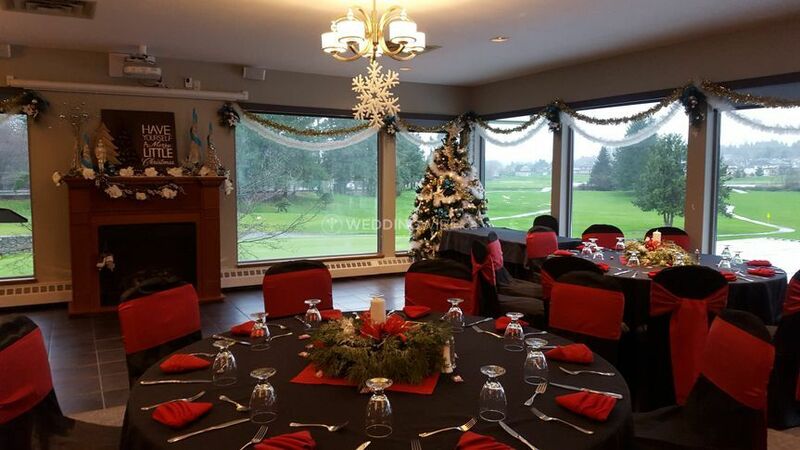 You can choose your favourites and have your menu customized.